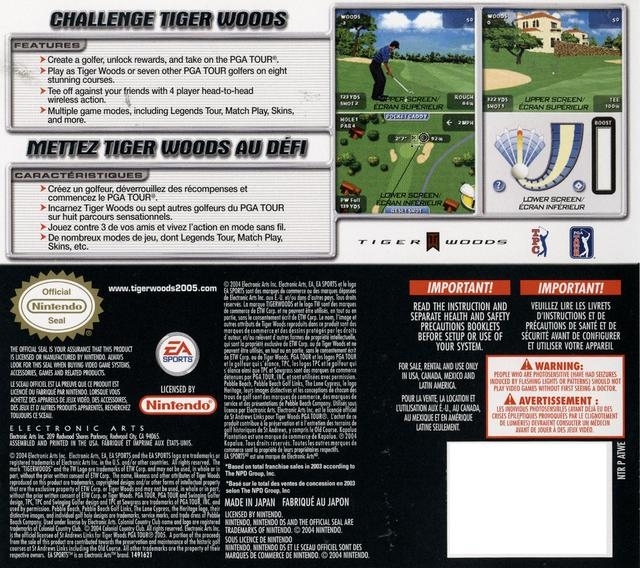 Tiger Woods PGA TOUR 2005 challenges gamers to take on the man who has changed golf forever—Tiger Woods. The revolutionary new Tiger-Proofing course alteration technology will change the way golf is played. Using the Tiger-Proofing system, create that intensely challenging course you've always dreamed about. Modify course dynamics and call out your PGA TOUR® rivals by adding lengthier Tiger tees, tighter fairways, dramatic undulations to greens, deeper bunkers, higher rough, and more. An enhanced EA SPORTS Game FaceTM featuring non-proportional bone scaling and texture blending will expand the opportunity to create more realistic looks, right down to the bags under your eyes. After creating your own golfer and making a name for yourself, unlock the chance to tee off against some of golf's greatest legends including Arnold Palmer, Jack Nicklaus, and Ben Hogan and become a golf legend yourself. TigerProofing is a revolutionary course-altering system that allows players to modify course dynamics and create the most intensely competitive course imaginable. Alter tee-box length, width and patterns on fairways and greens, the depth of a greenside bunker, and even the color of the leaves on the trees, course moisture, and the season which you play. 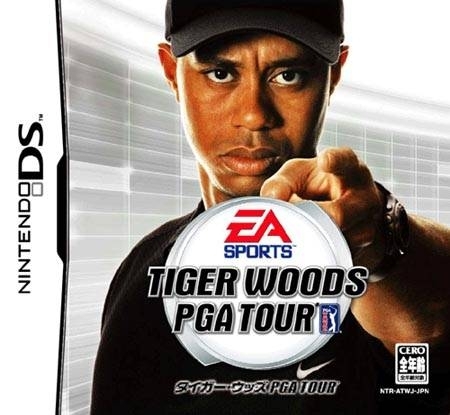 The ultimate objective is to create your dream 18 with a combination of your favorite holes, increasing course difficulty with money you earn on the Legends Tour building a prestige rating that will attract PGA TOUR Pros and legends to your course. Take on the legends of golf including Arnold Palmer, Jack Nicklaus, and Ben Hogan and become a legend yourself! Build up your GameFace created character by successfully completing challenges and events, working your way up to competing with the legends themselves and earning cash prizes, apparel, and equipment. The industry leading GameFace technology just got a whole lot deeper, with more control and freedom to let you express your creative vision from a youthful prodigy to a grizzled veteran. GameFace provides nearly infinite combinations of facial proportions and features, fully customizable body shape and tone, and a host of new equipment and accessories to earn to adorn the created player. To further customize your character, you can use Create-a-Swing, selecting the posture, knee flex, grip, and hand placement for your character's swing. You can even have a bit of fun and challenge yourself to create the worst-looking yet still functioning swing imaginable. Eight new licensed courses and two new fantasy courses have been added for a total of 14 courses. New licensed courses for console only include Coeur d'Alene and Colonial Country Club. New licensed courses for both console and PC include Sherwood Country Club, Fancourt Golf Club Estate, and Troon North – Monument Course. 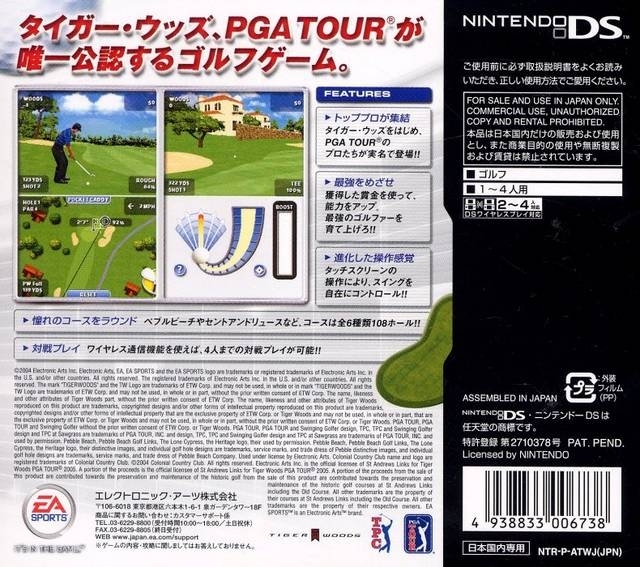 Returning favorites Pebble Beach Golf Links, St Andrews Links, and TPC at Sawgrass are also included along with three original designs including Greek Isles (console only), Paradise Cove (console only), or Emerald Dragon (both PC and console). 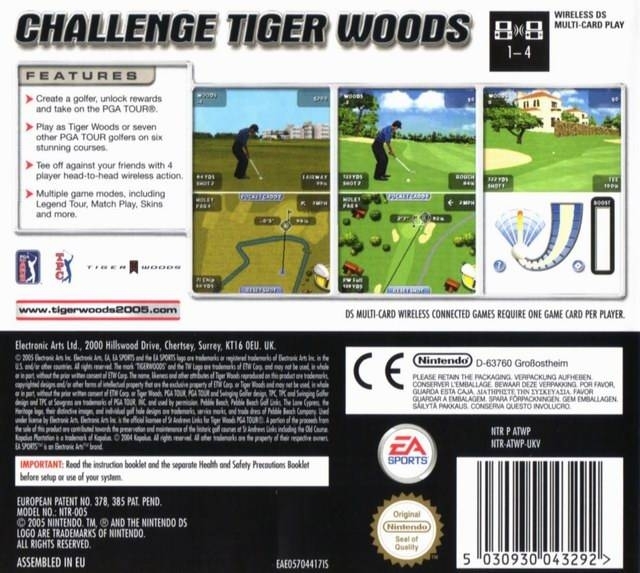 Compete as or against 15 different PGA TOUR players including Tiger Woods, John Daly, Vijay Singh, Charles Howell III, Notah Begay III, and Jesper Parnevik, among others. Additionally, 14 new fantasy characters will challenge you on the links. Play peer-to-peer with anyone across the country on the PlayStation 2 console. Compete in Online Tournament events complete with money lists, full stat tracking, and league leaders. The new handicapping system will allow gamers to find competitors at a formidable level, and players can post scores on ea.com for access to web tournament leader boards. New putting and chipping systems allow for more control on the green or when you leave an approach shot short. Players will have more control over their game by deciding the placement of the ball and directing whether to hit it straight, fade, or draw it back. In PGA TOUR Season mode for console versions, play along with the 52-week PGA TOUR calendar of events for up to 10 seasons. 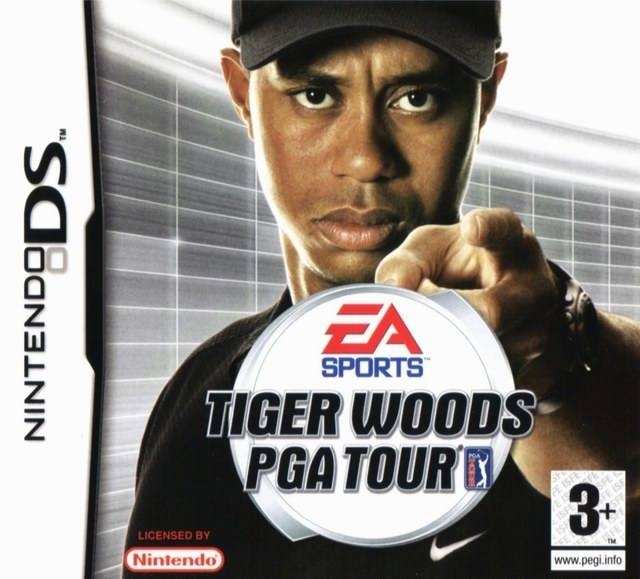 Obtain sponsorships from real golf equipment manufacturers throughout your career and drive to surpass Tiger as number one on the overall money list. Using the game hardware's internal clock, actual events appear at appropriate times of year. David Feherty and Gary McCord make up the announcing Dream Team and provide their commentary and irreverent observations on each round.